Quick and Easy Fudge is an easy recipe that we love to make and share for the holidays! Just a few ingredients that you likely have on hand to make this wonderful treat! I’ve been catching up on reading all my favorite food blogs for the past few days and everyone is just in a frenzy of baking for Christmas. Everywhere I look there are Christmas cookies! Now I know that lots of people really look forward to their Christmas cookies. But for our family Christmas has always been all about the candies. Homemade candies that we don’t usually make during the rest of the year. Like classic peanut brittle or buttermilk pralines and my daughter’s favorite date nut chews which I never have found time to photograph and post. I think she’d be more disappointed if I didn’t make those date nut chews than she would be if there wasn’t a single gift under the tree with her name on it. Yeah, the girl really likes her date nut chews. So today’s post is one more of our all-time favorites. Probably one of yours as well. Fudge! A really quick and easy recipe, too. I’ve had this recipe for years and years and it has never failed for me. Except once. And I still don’t know what I did wrong that time. But all of the other 2,437 times I’ve made it have been perfect. It always turns out nice and creamy, never grainy, and using chocolate chips in it gives a wonderfully familiar chocolate flavor that is especially appealing to children. No fancy ingredients required – in fact you probably have every one of them in your pantry right now. So, what are you waiting for? Get in the kitchen and make some of this fudge! Start by lining an 8×8 pan with foil. Set that aside until you need it later. 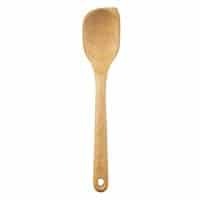 Put the sugar, evaporated milk, butter and salt in a heavy-bottomed pan. Bring it to a full, rolling boil (that’s a boil that can’t be stirred down) over medium heat while stirring constantly. Continue to boil the milk and sugar mixture while stirring constantly for 4 to 5 minutes. I usually go about 4 1/2. Remove the pan from the heat and stir in the marshmallows, chocolate chips, nuts (if using) and vanilla. Stir briskly until the marshmallows are completely melted and incorporated into the mixture. Pour into the fudge mixture into your prepared pan. Refrigerate it until firm – takes about two hours. Lift the fudge from the pan, remove the foil, and cut into pieces. I make about 4 dozen squares from this. Your mileage, as they say, may vary. I find that after this fudge has set up and hardened in the fridge, you don’t really need to refrigerate it. In fact, it’s better at room temperature. I would keep it covered, though, to prevent it from drying out. A quick and easy, creamy fudge just in time for the holidays. 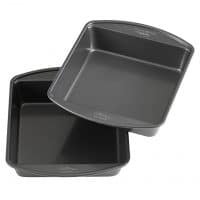 Line an 8-inch square pan with aluminum foil. Set aside. 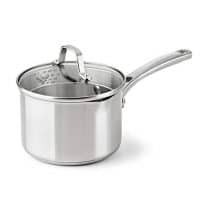 Combine the sugar, milk, butter and salt in a heavy-bottomed pan. Bring to a full, rolling boil over medium heat while stirring constantly. Continue to boil, stirring constantly, for 4 to 5 minutes. Remove the pan from the heat and stir in the marshmallows, chocolate chips, nuts (if using) and vanilla. Stir briskly until the marshmallows are completely melted and incorporated into the mixture. Refrigerate until firm (at least two hours). Lift from pan, remove foil, and cut into pieces. 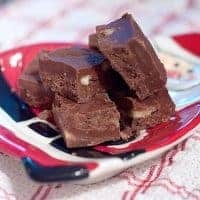 I love making fudge around Christmas-time, and I haven’t made any yet this year. Thanks for this beautiful reminder! I’ve made this fudge for years Lana and admit the first time I scoffed a bit at the marshmallow (or in my case marshmallow creme) that is used. No more. It tastes fabulous and is so much less complicated than ones where getting to the perfect temperature is required. At altitude that complicates things too much…almost worse than baking! I’ve never been a big fudge maker because we always seem to have a ton given to us, but I just may make a batch this year. This recipe look YUM! I am now wondering if I have ever made fudge or not… but this looks simple and so over-the-top delicious! I’d eat it all is the only problem. Perfect perfect fudge! WILL THIS WORK WITH WHITE CHOCOLATE CHIPS? I’ve never tried it with white chocolate. If you decide to give it a try, let me know how it turns out!